Can Weight Loss Surgery Improve Heart Health? 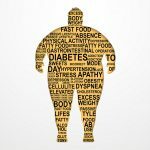 It’s well established that obesity is a major risk factor for heart disease and that excess belly fat can lead to unhealthy changes in heart function and size. But new research suggests that bariatric surgery (and the weight loss that follows) can reverse these detrimental changes. Excess abdominal fat makes the heart muscle grow bigger; which is great for other muscles that feed off it, but not for the heart itself. The larger the heart, the less effective it is at fulfilling its life-sustaining functions. Researchers from the Cleveland Clinic in Weston, FL were curious how the shape of the heart changes in obese patients, and what (by comparison) the same heart looks and functions like after having bariatric surgery and losing weight. They reviewed data on 51 obese men and women who underwent bariatric surgery between 2010 and 2015, focusing on preoperative and postoperative echocardiography readings which use sound waves to measure heart function. The study showed significant improvements in patients’ heart health one year after bariatric surgery. 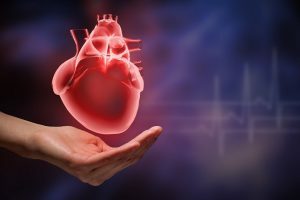 Nearly half of the study participants’ hearts returned to their natural shape, with significant improvement in the size of the ventricles, which improves their ability to pump blood. This isn’t the first study showing that weight loss surgery can improve heart health. Research in the Journal of the American Heart Association found that weight-loss surgery cut the long-term risk of heart failure by more than half in obese people without a history of heart disease or stroke. Half of patients in the study underwent gastric bypass, and the other half did not. The bypass group saw their BMI drop from an average 46.5 to 32.5 after five years, while BMI remained stable at around 46 in the non-bypass group. Twenty four of the bypass recipients developed heart failure after eight years, compared to 55 in the non-bypass group. 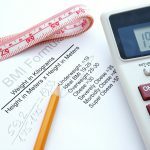 Individuals with a BMI ≥ 40, or more than 100 pounds overweight or those with a BMI ≥ 35 and at least one or more obesity-related co-morbidities, such as type II diabetes or high blood pressure are considered candidates for weight loss surgery. The only way to know for sure where you stand is to have a frank discussion with your physician about the risks and benefits of these procedures.